Recycle, Reduce, Reuse, Rethink Thrift!! If you’re looking for high quality items and GREAT service you’ve come to the right place! 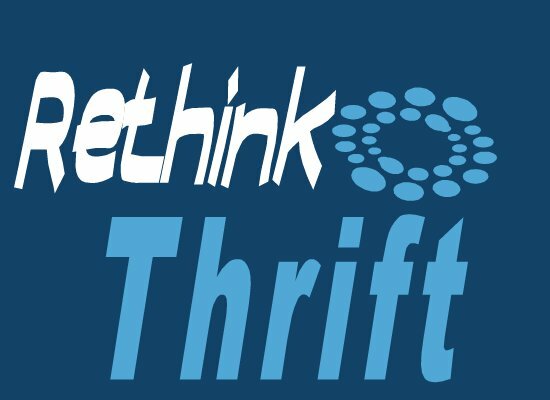 At Rethink Thrift Inc you will find just that! We are located at 2630 W. Main St., across from the Gallatin Valley Mall. We offer a great selection of clothing for the whole family. We have household items, knick knacks, toys, furniture, and MUCH MUCH more! Friendly staff, great selection of items at GREAT prices. Check us out on FACEBOOK!!! We are always posting new items. We also ACCEPT donations daily! There are bins located outside the front of the store for your convenience. We accept clothing, toys, housewares, good used furniture, glassware, and anything else in good usable condition. Thank you for shopping with us! We appreciate your business! Hope to see you soon!